Gifts for Great Men is to assist you in choosing the right gift for the right guy. We all know Dad's can be difficult to buy for at Christmas, so we've rounded up our top picks for one of the favourite men in your life. The Harrison Overnight Business Bag is smart and practical. 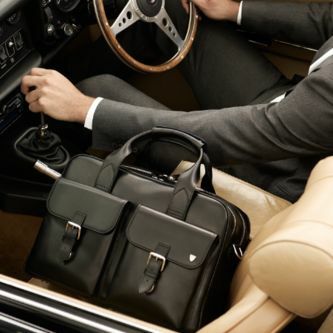 Handmade in the smoothest Italian calf leather, this bag will take your father from the boardroom to the hotel room in organised way. As one of our most popular gifts, our Hip Flask is great for any outdoor loving father. With engraving available, this Aspinal classic will look great in his stocking or under the Christmas tree. Our Men's Leather Washbag (pictured here with our Men's Manicure Set, Sterling Silver Collar Stiffeners, Double Barrel Cufflinks) will provide years of faithful service on your Father's travels.